If you’ve ever been unlucky enough to suffer from a shingles outbreak, scientifically known as post-herpetic neuralgia, you know the stifling pain that comes along with it. At first, you may feel like your skin is irritated with that feeling of pins and needles. Next, you’ll get a painful shingles rash that usually turns into weeping blisters. These can last for a few weeks before they finally heal. However, just because everything on the surface is healed doesn’t mean you are pain-free. 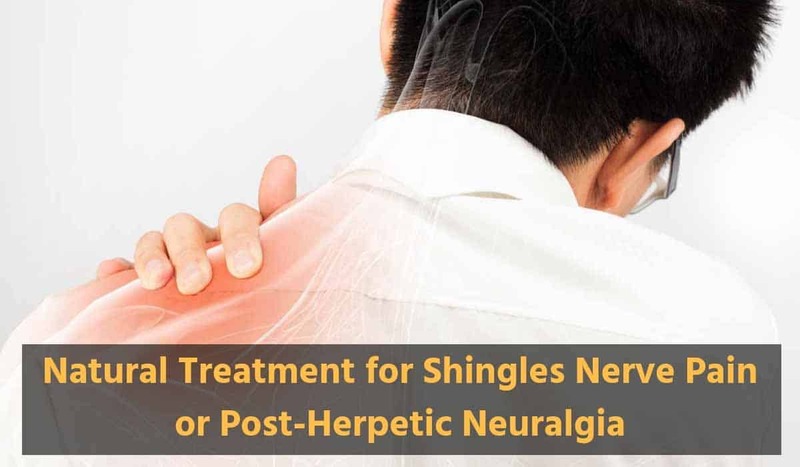 Because post-herpetic neuralgia is a neurological disease, it attacks your nerve system, meaning the symptoms such as a shingles rash or neuropathic pain can linger for months or even years. 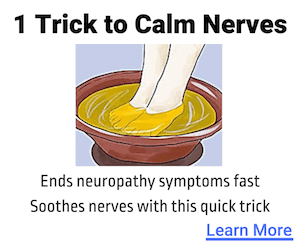 It can wreak havoc on your nervous system, too. For example, if you get shingles on your cheek, and the shingles is on your optic nerve, you’ll likely suffer from extreme nerve pain in your eye and face. It can be difficult to get the symptoms under control. And what’s even more frustrating is having internal pain when you have absolutely no symptoms on the outside of your body. It can be a struggle, both mentally and physically, to get a grip on this pain. Just like when you probably had chicken pox as a child, before you resort to harsh medications from your doctor, you may want to try some natural remedies first to tackle a shingles outbreak. Here is the top natural treatment for shingles nerve pain. Ever noticed how soothing and relaxing it is to take a bath with essential oils? Add a bath into your daily routine to help battle your shingles pain. Not only does it help tackle any remaining blisters, but it can also soothe your skin inside and out. Take a cool bath or shower. You’ll find that the coolness of the water will help with any lingering pain and relax any lasting itchiness. If you want to take your natural treatment for shingles nerve pain up a notch, add in something to your bath for a little pain relief. One or two cups of colloidal oatmeal or even cornstarch can do wonders for your shingles symptoms. Put either the oatmeal or the cornstarch into lukewarm water and allow yourself some soaking time for up to 20 minutes. Make sure you avoid hot water, as this can irritate your skin more. Hot water increases blood flow, which can inflame your skin even more. Once you’re out of the bath, dry yourself completely. You don’t want water just sitting on your blisters. And make sure you toss your towel right into the laundry. You don’t want to have to worry about spreading the virus to loved ones or even back to yourself. On top of taking a nice, cool, relaxing bath, try adding in a cool, moist compress to help relieve your shingles symptoms. Make sure you do it several times during the day to help your symptoms and ensure pain relief. All you have to do is soak a clean cloth in cold water, wring it out and then put the cloth where you feel the most discomfort. Whether the blisters are still there or you simply have internal pain, a cool cloth will help slow down your blood flow and relax your system. You can do this as often as you want, but one thing you don’t want to do—if you still have blisters—is use an ice pack. The shocking coldness that comes from the ice pack can hurt your skin, which is already sensitive to the blisters. If you still have blisters and want to minimize your nerve pain, try making a soothing paste of baking soda and water. If you don’t have baking soda, you can use cornstarch in its place. This powerful pain will work to cut back on any itching or long-lasting symptoms. Simply take two parts baking soda or cornstarch and put it into a cup and mix in one part of water. Mix to get the right consistency. Then put the paste right onto your rash. Wait for 10–15 minutes before you wash it off. You can repeat as often as you feel fit. 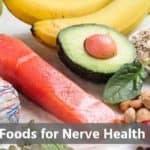 If you like the idea of natural remedies, you can also try over-the-counter nerve supplements, such as Nerve Renew Neuropathy Support Formula. This natural blend takes essential vitamins and extracts and make sure your system gets the dose it needs. It’s a great way to get a handle on your shingles pain without having to resort to heavy painkillers. If you’re a victim of shingles, you know how difficult it can be to not scratch it. However, if you do scratch it, it’ll leave scars inside and out. That’s when it’s time to try various kinds of lotions and creams. While these don’t do anything to quicken the healing process, they can help your overall comfort level. You want to avoid any type of perfume or scented lotions, which can irritate your skin more. Look for lotions that have the ingredient of capsaicin. If is an active ingredient in chili peppers, and you can use it up to 4 times a day. This anti-inflammatory works to cut back on your pain. While there may be an initial burning sensation, it’ll go away and you’ll find your symptoms have lessened. These kinds of creams or lotions are great because they cut back on the pain signals that are being sent to your brain. Boosting your immune system not only means you’re prepping your body for future battles but it can also help with anything you’re currently fighting such as lingering shingles pain. Making small but impactful changes to your diet can help your immune system get stronger and even reduce your likeliness of getting shingles again. Take a look at your diet and make sure it’s packed full of vitamins A, B12, C, and E, as well as antioxidants. If you’re looking to start adding in foods that’ll help you heal, aim for red meat, eggs, chicken, leafy green vegetables, orange and yellow fruits, wild-caught fish, whole grains, tomatoes, spinach, legumes, and beans. Avoid fruit juice and foods with high levels of sugar and foods high in saturated fat and carbs. Experts also suggest avoiding foods high in arginine, which is in gelatin, nuts, and chocolate.